The Pitsa tablet. 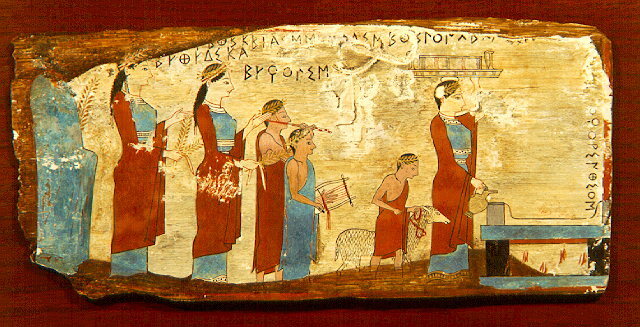 Wooden votive tablet bearing the painted representation of a sacrificial procession. It was found with three other similar tablets, in a cave over the village of Pitsa, in Corinthia. They are unique specimens of miniature painting, dated to ca. 540 B.C. Inv. no. 16464.